Winnie Lite Supreme Aluminum 3-wheeled Rollator is made by Drive Medical of lightweight aluminum. 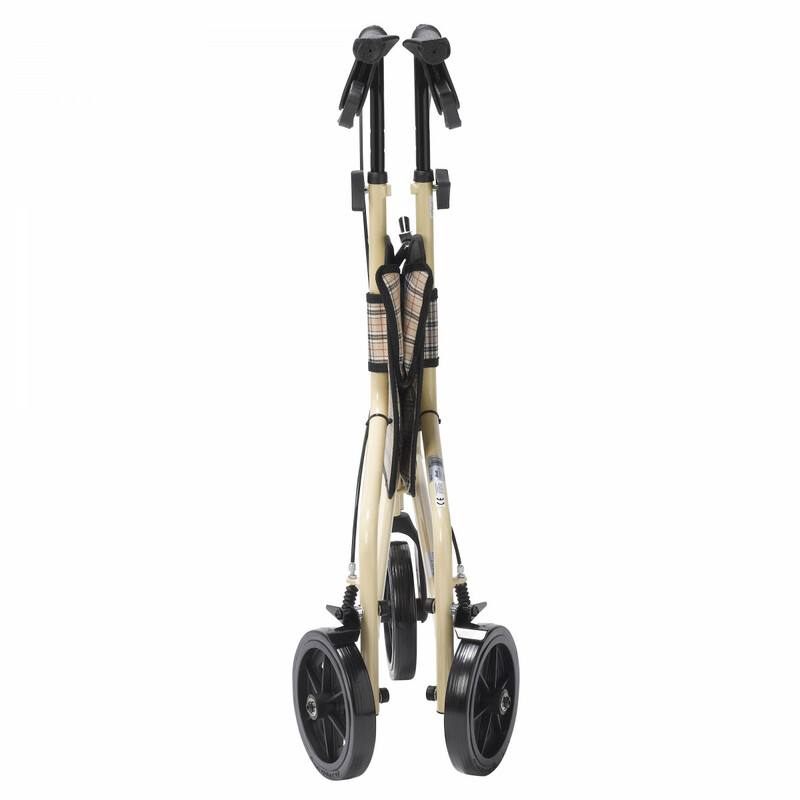 This rollator's handle height is adjustable between 32" and 38". Although this Rollator Walker has a maximum weight capacity of 300 pounds, the Winnie Lite Supreme only weighs 11 lbs. Drive Winnie Lite Supreme Rollator comes standard with a carry pouch. The footprint of this 3-wheeled rollator measures 2' x 2' x 2'. The durable 7.5" wheels are great for either indoor or outdoor use. This Drive Medical Rollator comes with a limited lifetime warranty backed by Drive Medical. Special loop lock brake made of internal aluminum casting operates easily and ensures safety. 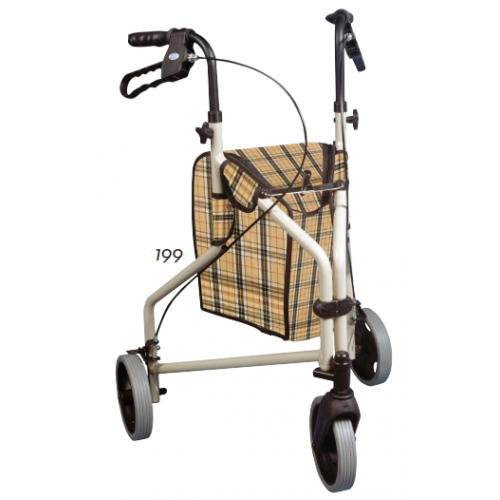 Drive Medical Winnie Lite Supreme Aluminum 3-wheeled Rollator Product Number: 199. 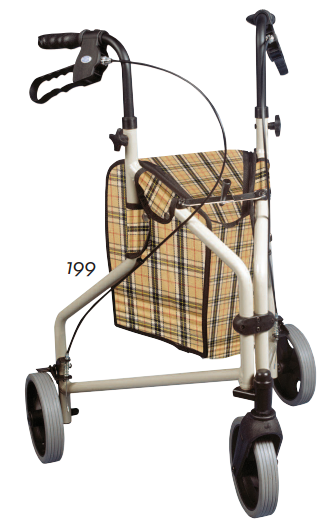 Handle Height Adjustment: 32" to 38"
Colors: Tan Frame, Plaid Bag. Drive Medical Winnie Lite Supreme Aluminum 3-wheeled Rollator Warranty: limited lifetime. Drive Medical Winnie Lite Supreme Aluminum 3-wheeled Rollator Brake Cable Warranty: lifetime. Does this walker fold for storage or to put in car? 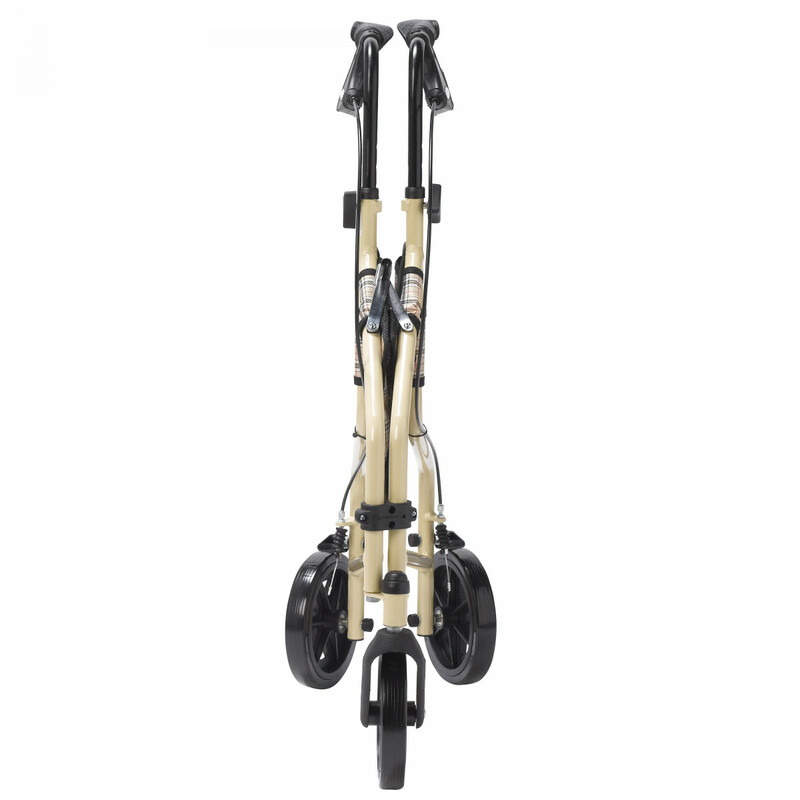 The rollator is able to fold small enough to fit in a vehicle.